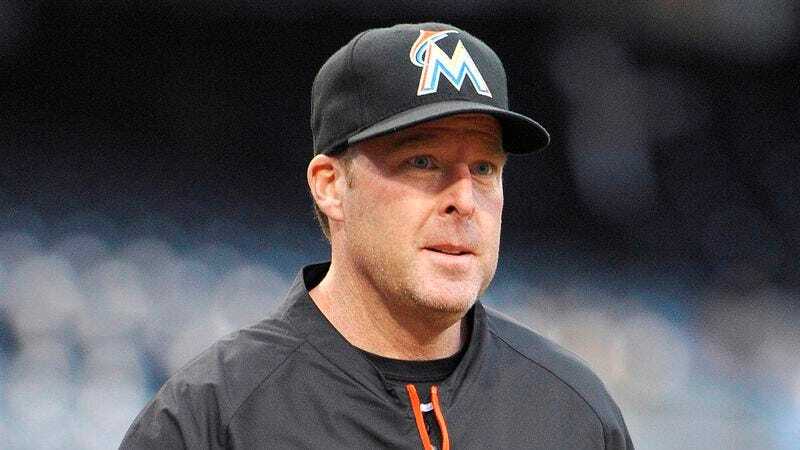 MIAMI—Prior to their Monday evening game against the Phillies, Marlins manager Mike Redmond motivated his players with a moving reading of the team’s contractual obligations to play out the rest of their season, clubhouse sources confirmed. “Before we go out there tonight, I want you guys to remember this: As it states in article V of section 3(a), we are all legally bound to play all nine innings tonight in order to receive full salaries plus health, dental, and retirement benefits,” Redmond reportedly said as his players gathered around and quietly nodded along with his words. “I want each of you to look at yourself not just as a player, not just as a man, but as a paid employee of the Miami Marlins franchise owned by Jeffrey Loria, who signed you to play for this Major League Baseball team for a minimum of 162 regular-season games. And after tonight, when you come off that field, you hold your heads up high, because you fulfilled the requirements necessary to get your paychecks. So c’mon, boys, let’s go to work as our contracts stipulate!” After Redmond reminded players that their season will be over on September 29 no matter what happens against Philadelphia, the entire team reportedly erupted in cheers and excitedly took the field.